Mahekal Beach Resort is proud to announce the addition of the Mahekal Boutique. Centrally located in the heart of the resort, directly across from Boli’s Bar, and out the back of the main lobby, the Mahekal Boutique features an assortment of art, crafts, handbags, and jewelry sourced from various regions of Mexico, including popular Otomi embroidery, Alebrije sculptures, milagritos, black clay pottery, blown glass, and more. The boutique also features a variety of resort logo items like caps, coffee mugs, and tee shirts so you can keep the memories of your Playa del Carmen vacation close to heart, long after you've returned from our beach resort. You can also stop by the boutique for a variety of essentials including toiletries, sunscreen, swimwear, beach bags, and clothing. Don Valente Panflio Nieto Real, Juventino Nieto and Rosa Real son, is an artisan thats keep doing history. He began to work on black clay as a child due to the constant need to help their parents to have something to eat. Valente and his family were forced to seek or find a solution to increase the value of crafts and this solution came in the form of a peculiar technique that consist in rubbing the pottery with a quarz stone to the Surface of the piece. This technique gets the piece totally smooth and shiny and was called “bruñir”. 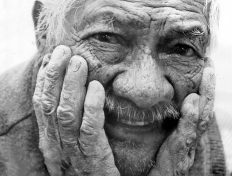 Valente has participated in many exhibitions, nationally and internationally, and was highlighted in the exhibition called “30 centuries of Mexican Art” in New York city. The custom of hanging offerings on the walls of churches was very common in towns all over Mexico in the 16th century. These offerings sometimes consisted of a figurine of a body part and were hung in the temple near of the saint or god whose intersection had been invoked. In these temples, shrines and places of worship many eyes, ears, arms and other body parts were founded as a sign of gratitude. 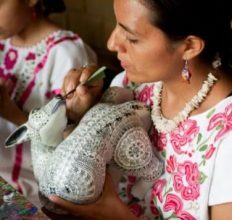 These silver figurines were then named “milagritos” or little miracles.In 1992, Argui Diseños was founded in Morelia, Michoacán as an initiative of its founder Teacher Maria Teresa Guizar Leal. Her inspiration was in her admiration for the works of religious art that were displayed in temples. 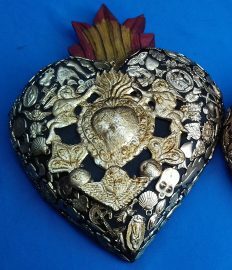 With the support of her family, she decided to create the Milagrería´s Workshop in order to design several pieces, mostly crosses, boxes, and wood carvings, to support a group of artisans from Michoacán who handmade each of this pieces of art using different techniques and materials including silver and gold leaf. He is a third generation wood craftsman in his town in Oaxaca. Born in 1973, Zeny learned to carve wood when he was only seven years old with the support of his father and his grandfather. 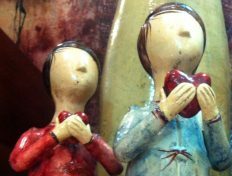 Now Zeny continues the tradition in his family workshop where he creates incredible art with his wife, Reyna Piña Ramírez, and his four children. All the pieces are made by hand of copal wood. This wood is traditional Oaxaca and is very important also because it is used to extract incense for religious use. Each piece is unique, decorated with love by hand with brushes and spines of maguey. They use symbols that refer to the culture, history and nature of the central valleys of Oaxaca. He began to show his work at the young age of 14 when he went to his first exhibit in Arizona, USA. The Walt Disney commissioned pieces to exhibit at Epcot Center in Orlando, Florida. A company with 21 years of experience in the manufacturing of blown glass; and founded in 1984. During this time, we have devoted ourselves, body and soul, to the production of original designs in blown glass. 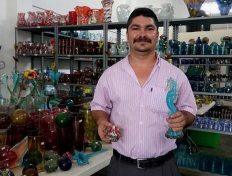 Each piece of Mexican handblown glass is a unique creation. There will never be two exactly alike. The centuries-old glass blowing techniques used by the craftsmen create small air bubbles in the glass giving this type of glassware it's well known name, bubble glass. 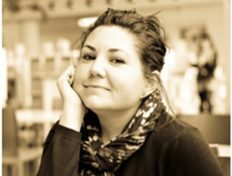 Cristina Larumbe, Oaxacan textile designer, inherits a deep cultural legacy that is seen in all her creations through constant interpretations and fusions between the textile tradition of her land and the contemporary languages of fashion. Cristina's work has always been linked to the popular roots of her culture, due to her conviction and sense of identity that she keeps with them.Her creations are considered objects of culture and tradition, through a high quality craftsmanship, always counting on a contemporary and avant-garde touch, balanced with all materials and forms to merge with the current demands of the world of design and fashion. 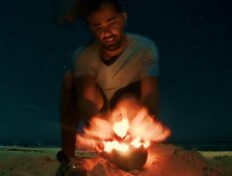 Federico Pellico, a young craftsman in Playa del Carmen, shows his art through Kiandoru (samurai meditation ritual with candles) using the most traditional and handmade method because he believes in the direct contact of the artist and the raw material. Kiandoru is a fusion between the rich local nature and its way of making crafts, is an elegant product, in tune with the Caribbean, in harmony with nature, with a unique result. Everything starts from our beaches until the creation of an exclusive product that brings to each home a souvenir that is really a part of the Riviera Maya. The creation of these pieces has a very special process, born in the mind of artist Loretta who initially draws it on paper and pencil. Following this a prototype in mud is made which is corrected by Loretta. Then, a mold is made and then the piece is made in clay which is cooked at 800 degrees, 200 degrees more than the common clay! Thanks to process, the piece is more resistant. When the piece is ready to paint; it takes 10 to 12 days; as Loretta applies different layers of color. We believe the inspiration can be born every day and in different ways, and we all have an artist inside. Each one of the figures that are stamped in the blanket canvases, according to the tradition, reflect the flora and wild live without presence of the man, sometimes without definite form; these colorful forms are called tenagos. Consistent within their designs are drawings of rabbits, hens, horses or dogs, and they are decorated with designs that look like petals of bright colors: yellow, red, blue or green. 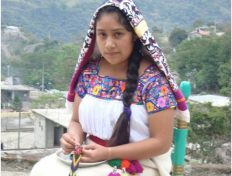 Together, they are the perfect canvas that harmonizes the culture and life of the community in different important events such as marriage, harvest, birth and other moments of Otomí-Tepehua life.